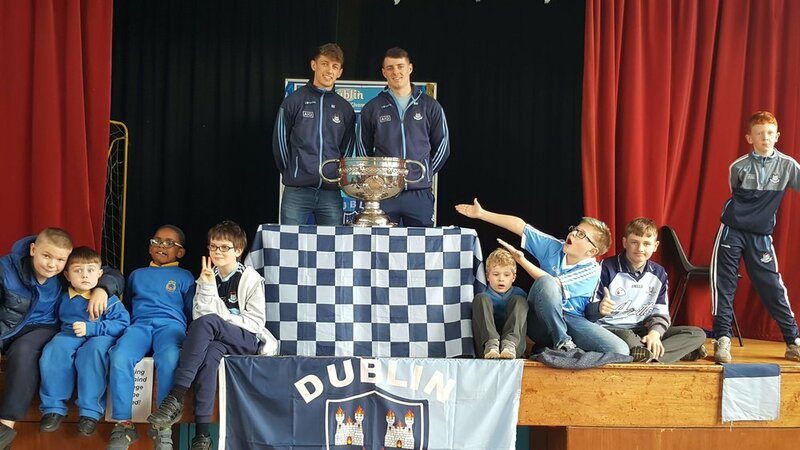 The Sam Maguire can back to visit joey's for the 4th year in a row. 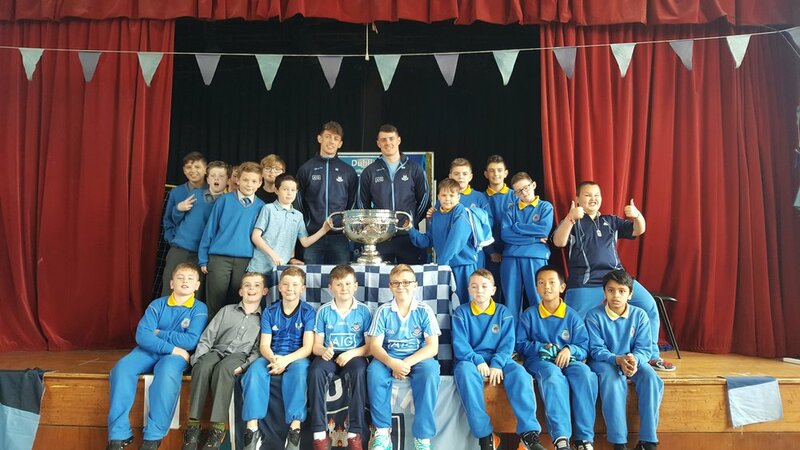 Our fantastic GAA coach Emma organised for the cup to be brought in by all-star and young player of the year nominee, Brian Howard. Brian was later joined by young goalkeeper Evan Comerford. Both young men were very generous with their time and answered some great questions from our joey's boys!!! Let's hope we see them again next year!!!!! Up the dubs!!! !